According to a study by comScore, Instagram users in the U.S. spend 98% of time on the social network via mobile which, of course, is to be expected, given that Instagram was designed to be accessed only via mobile (and only later became accessible via the web on computers). 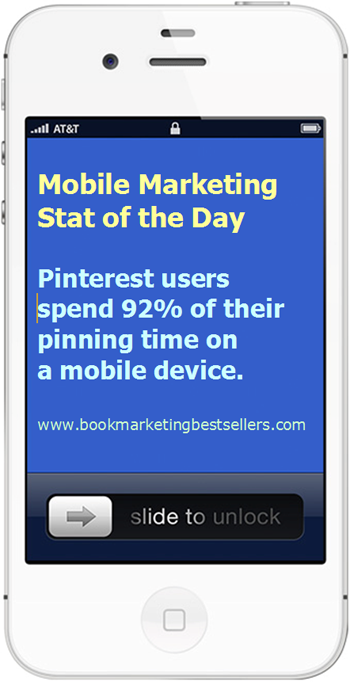 But, what’s more surprising is that Pinterest users spend 92% of their pinning time on mobile devices. And Twitter users also choose mobile rather than desktop computers 86% of the time. Check out the chart below for how mobile other social networks are. Is it designed to be accessed via mobile? If it’s designed to be mobile, it is more mobile. The above chart can help you decide how mobile your website should be — depending on which social networks you are targeting as your #1 and #2 networks.